Newspaper “Ilinden”: Dr Marcus Papadopoulos, please provide a short biography to introduce yourself to the readers. Marcus Papadopoulos: Since my childhood, I have had a fascination and passion for the former Yugoslavia; so much so that it is, today, one of my two fields of expertise, the other being Russia. 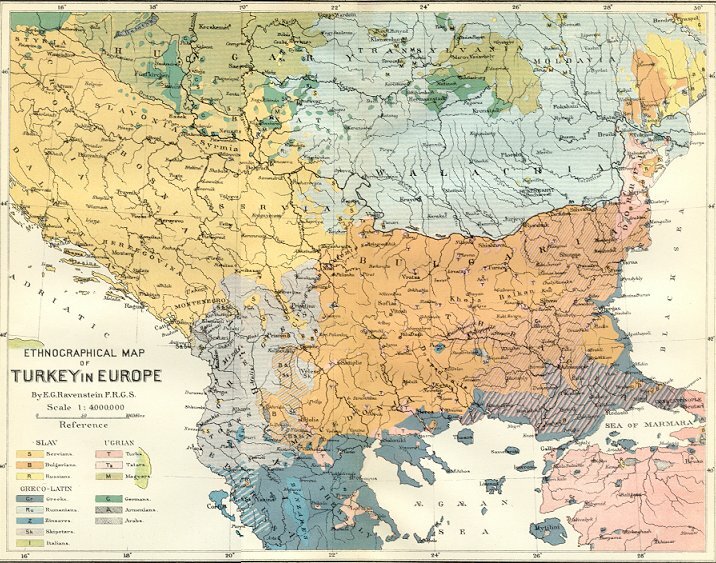 I have been researching the history of the Balkans, including its people and cultures, for well over 20 years now and am a frequent visitor to the region. I was 12 years old when the Socialist Federal Republic of Yugoslavia disintegrated, or, to be more precise, was undermined and destroyed by America, Germany and certain other European countries. The killing of Yugoslavia pained me a great deal and has continue to pain me ever since. I feel great sadness for Macedonians, Serbs, Muslims, Croats, Montenegrins and Slovenes because of how they continue to suffer, especially economically, as a result of the destruction of Yugoslavia. Tito, who was a visionary and an extraordinary leader, often warned, in speeches to the Yugoslav people, that there were foreign forces in the world which hated Yugoslavia and wanted to destroy the country. How true his words were. One potent threat which has emerged because of the dismemberment of Yugoslavia is the Greater Albania project, threatening Macedonians, Serbs and Montenegrins, alike. I will discuss that accursed project later on in this interview. Newspaper “Ilinden”: You use our constitutional name in the social networks all the time, Republic of Macedonia, how do you see the name dispute between Macedonia and Greece? MP:Macedonia is a historic geographical region, most of which is in present-day Greece but with other parts being in the Balkans, principally the Republic of Macedonia and Bulgaria. Alexander the Great, who was Greek, ruled a Macedonia which encompassed lands in modern-day Greece, the Republic of Macedonia and Bulgaria. So in light of that, Athens must be more reasonable and recognise that the historic region of Macedonia is not purely Greek. And, in turn, Skopje must stop claiming that Alexander was not Greek. Both Athens and Skopje are guilty of manipulating established historical facts. And I say that being a dear friend to both Greece and the Republic of Macedonia – I care for both countries immensely. Athens is correct to say that most of the historic region of Macedonia is in contemporary Greece and that Alexander was Greek, while the Republic of Macedonia is correct to say that it is a direct descendant of the Macedonian Empire of Alexander. Newspaper “Ilinden”: At present, the governments of Greece and Macedonia are optimistic that the conflict will soon be solved. How do you assess the prospect of this as a connoisseur of the situation in the Balkans? MP: I sincerely hope that Greece and Macedonia will soon agree on a compromise. But given that the dispute between both countries has been lingering on for 26 years now, I think we should be cautious about saying that the end is now in sight. I only wish that Athens and Skopje would recognise that they have more in common than what separates them. Firstly, both are Christian Orthodox. Secondly, both are threatened by a Greater Albania, which is supported by the United States, the European Union and NATO. And thirdly, both are victims of the foreign policy of Washington and Brussels. If only Greece and Macedonia would put on a united front, the Greater Albania project, and its foreign backers, would receive a strong blow. Further to that, I urge Skopje to be very careful about taking support from Turkey. Turkey is, historically, a very dangerous country and is, today, a major component in the Greater Albania project and in spreading Islamism in the Balkans. Ankara cares nothing for the Republic of Macedonia; the Turks are merely using the Macedonians against Greece. So while Athens and Skopje argue between themselves, Greater Albania and Islamism benefits, not to mention, of course, the scourge of Albanian organized crime. Newspaper “Ilinden”: How do you see the geostrategic situation for Macedonia and the neighbouring countries in the near future? MP: Macedonia, like the rest of the former Yugoslavia, has been colonized by the West (America and the EU). I am sorry to say this but Macedonia is merely a vassal state of the West. The Americans and Europeans want Macedonia in order to take its economy and its resources, to flood the Macedonian market with Western goods and to use the Macedonian population as cheap labour. Furthermore, the Americans and Europeans want Macedonia so that Russia does not have a foothold in the country. Washington and Brussels use NATO and the Greater Albania project to keep Macedonia in check. Take, for instance, the humiliating and dangerous Ohrid Framework which the US, the EU and NATO gave Skopje no choice but to sign. So my message to Macedonians is this: do not be fooled by the US, the EU and NATO; all three are enemies to the Republic of Macedonia and all three employ the Albanian card to get what they want in Macedonia. By Macedonia becoming closer to the US, the EU and NATO, you are only getting closer to enemies of yours. Staying on the subject of the Albanian terrorist campaign which plagued Macedonia in 2001, Macedonians should ask themselves this question: who was backing the Albanians? The answer is the same people who, today, pretend to be a friend of the Macedonians: the Americans, the Europeans and NATO. Perhaps I can discuss that in a future interview with your newspaper, should you be kind enough to give me the opportunity to do so. In my opinion, Macedonia, Serbia, Montenegro and Srpska Republika [sic] should never have been separated from each other in the first place. The West rules the Balkans by divide and rule tactics. So, I believe that Skopje, Belgrade, Podgorica and Bana Luka should unite into one country – strength through unity! Unless that happens, the West and its Albanian allies will, in the long-term, devour Macedonia, Serbia, Montenegro and Srpska Republika, with Macedonia, perhaps, ceasing one day to exist all together. Newspaper “Ilinden”: Will Russia leave out Macedonia from the geostrategic Turkish / Balkan Stream project, as well as China, which originally had plans to build a high-speed railroad through the country in connecting the Greek port of Piraeus with Budapest and beyond? MP: Macedonia, like Serbia, should pursue a policy of non-alignment, similar to what Tito’s Yugoslavia pursed. Skopje should trade with the West, while always remembering the true nature of the Americans and the Europeans, and should advance relations with Russia, a fellow Orthodox and Slavic country. But, Macedonia should not be in either the West’s or Russia’s strategic orbit. As it currently stands, Russia has little leverage in Macedonia, owing to the pro-Western, treacherous establishment in Skopje which is, literally speaking, selling Macedonia to Western governments and businesses and enslaving the Macedonian people to the West. For that, Macedonian politicians are rewarded with riches by the Americans and the Europeans. The same is true of Alexander Vucic and the political establishment in Serbia – they are destroying Serbia economically and culturally, dividing the country and taking away its self-dignity. I spoke earlier on in this interview about how Tito was absolutely correct when he said that there were foreign forces which were intent on breaking up Yugoslavia, dividing its people and plundering its economy and national resources. Since 1991, that is exactly what has happened in Macedonia and the rest of the former Yugoslavia. What a catastrophe. But, no situation is hopeless. Macedonia must look to its brothers in Serbia, Montenegro and Srpska Republika [sic] to form one country and, in doing so, liberate itself from Western tyranny, regain its national self-respect and effectively counter Greater Albania. Newspaper “Ilinden”: Dr Marcus Papadopoulos, Thank you for the interview, on behalf of I thank you for your cooperation and wish you personal and professional successes. MP:I thank you for giving me this opportunity, and I look forward to working with you again in the near future, for the benefit of the Republic of Macedonia. Dr.Marcus Papadopoulos is the publisher and editor of Politics First, a non-partisan publication for the UK Parliament. Alexander the Great is Greek. The four ‘small’ countries should reunite! tired of all this rubbish. Travel though India and Pakistan and the people in certain districts speak of Alexander the Great the Macedonian! They speak Macedonian and practice Macedonian cultural practices. Which Macedonian in the last 500 hundred years went to India and taught Indians and Pakistanis Macedonian…THAT IS MACEDONIAN, not Greek, the one that I speak and understand today. Oh that is right!!!! It must have been the great Macedonians solders, Alexander the Great!!!!!!!!! the Republic of Macedonia is correct to say that it is a direct descendant of the Macedonian Empire of Alexander. There are no direct descendants of the Macedonian Empire of Alexander. This is an order of magnitude more laughable than the claim that modern Egypt is a direct descendant of the Ancient Egyptian kingdoms that built the pyramids. 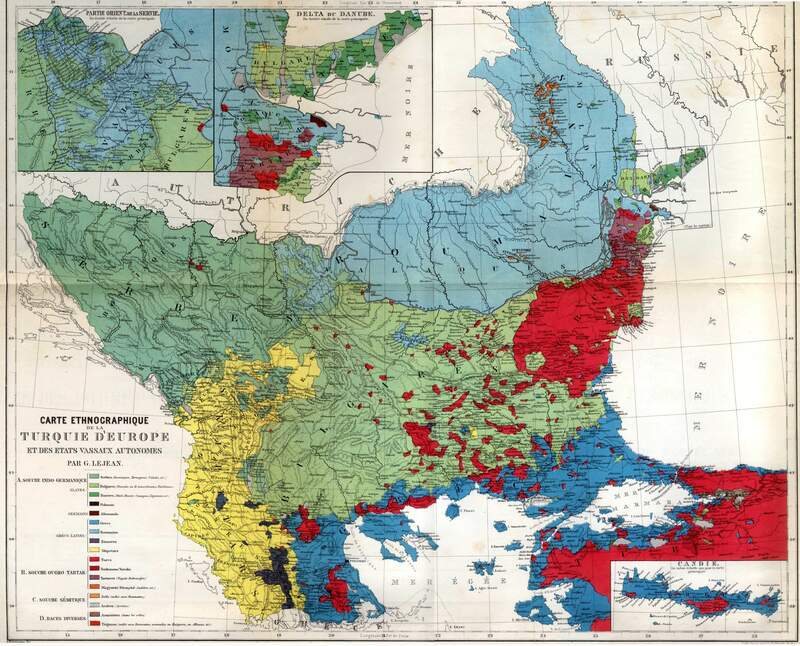 Modern Macedonia is a 20th century creation as a result of the policies of the Serbian and later Yugoslavian states. We are not talking about something that happened in ancient history here, we are talking about something for which extensive historical documentation exists. Such as ethnographic maps of the Balkans from the late 19th and early 20th century, and countless writings from that time. Neither will you find it in the written records from the period. I am afraid that the Great Game is still played and it is the people of smaller nations of geostrategic importance who always pay the price. Eastern Europe was and is a Great Game between US, Soviet Union/Russia, the EU and, to a minor extent, Turkey. South Stream was vandalised purely because Americans are too psychopathic to allow Russian gas to be traded in the EU. They have to make EU serfs to US controlled gas, be that pipelines through Syria, LNG from wherever. Until the world unites enough to throw every American out of every country as they cannot behave properly anywhere in the world, nothing will change. If Russia, China or anyone else simply sees them as the new mafia hood taking over markets after gangland killings, nothing will change even if the Americans are thrown out. And if the result of the Great Game stopping is regional genocides, then is that better or worse than the Great Game? You will not be surprised to hear that jone of those crucial questions are ever raised, anywhere, in Uk political life. If we had a principled, sovereign politics (we do not, we are vassals to the USA), they would be aired regularly as a central feature of foreign policy debates. I was right: Russian propaganda spreads anti-American disinformation. It seems to be working very well. Given the US record of malignant interference across the world, it sounds like a good idea, in relation to all US military, diplo-thugs, US ‘regime change’ outfits like the NED, and NGO interferers. US tourists or other non-official visitors ought to be made welcome, but closely monitored. That rang bells with me, because when I was in my 20’s I fell in love, with a girl in England, who’s parents were born in Yugoslavia. She was a beautiful girl in every way, and her family welcomed me into their home as if I was family. This was in the 1970’s. we were together for over a year, and everyone thought we were going to get married. But something went wrong, and we didn’t though we never betrayed each other. We were faithful we were young lovers. So I met another girl and we had children. Our children went to The Greek Islands, and The Greek Mainland when they were very young – for over 10 years. In their holidays. Our children grew up in Greece..
During this time in the early 90’s one of the Children’s entertainers at the holiday resort in Halkidiki, got summoned whilst we were there to go back to Croatia..He was only about 16 himself.. He was being summoned to go to war and become a soldier.. This was in Europe – we found this almost completely unbelievable. He was such a lovely boy. We hadn’t had a war in Europe since before I was born..
And then a few year later in 1999, my family were travelling back home at Easter from The Indian Ocean. We had had no news for 2 weeks – but they passed us The Newspapers on the plane. How could they do this??? I was completely outraged. All my Ex’s family came from Serbia , and my country was bombing them to hell. Why? Then about 10 years ago, I learnt the truth of what was going on in Serbia, with regards to capturing the most beautiful teenagers in the world (completely unconnected to the war), and removing all their essential body parts, and shipping them to hospitals in The West via The KLA. Then killing them. This atrocity was so completely beyond my understanding of the human race, that I had to tell someone. It was a friend who works in The Medical Profession. She couldn’t handle the truth, yet she was trained to handle the truth. I could never tell my wife, nor my ex. They are lovely innocent people, and their souls would be corrupted if they knew such evil went on. The EU issued a full report a few years later, which I again read today. How can such evil go on in a civilised world, and be supported by The UK and USA Governments? Tony…thank you for telling us a story from your past…. a very touching one. It is true that the term Balkanization is still being used in the ongoing attempts at dividing Syria and perhaps Iraq and other targets in the future. I hope that those 4 small countries see fit to reunite and do as the author of this article suggests. The part of ‘organ harvesting” is horrible…. truly war crimes .